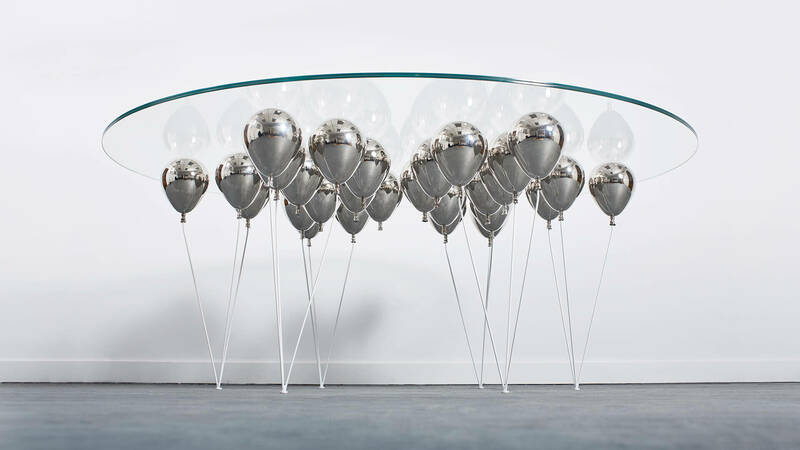 The UP Balloon Table is a playful trompe l’oeil, the gold and silver balloons impress the illusion of a levitating glass table top. 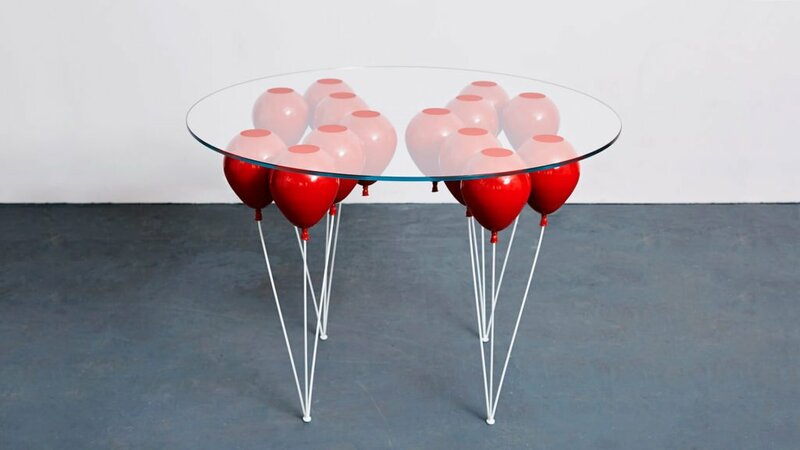 This piece captures the imagination and celebrates nostalgic creativity. 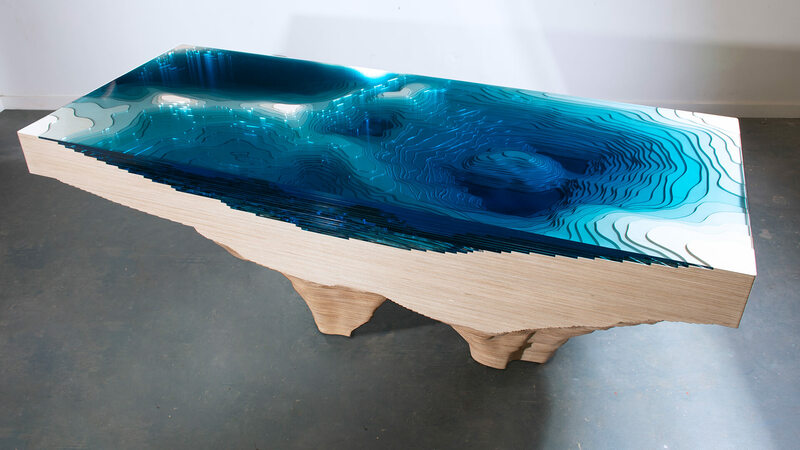 This uplifting design was imagined by Christopher Duffy, with the concept of levitation and buoyancy. 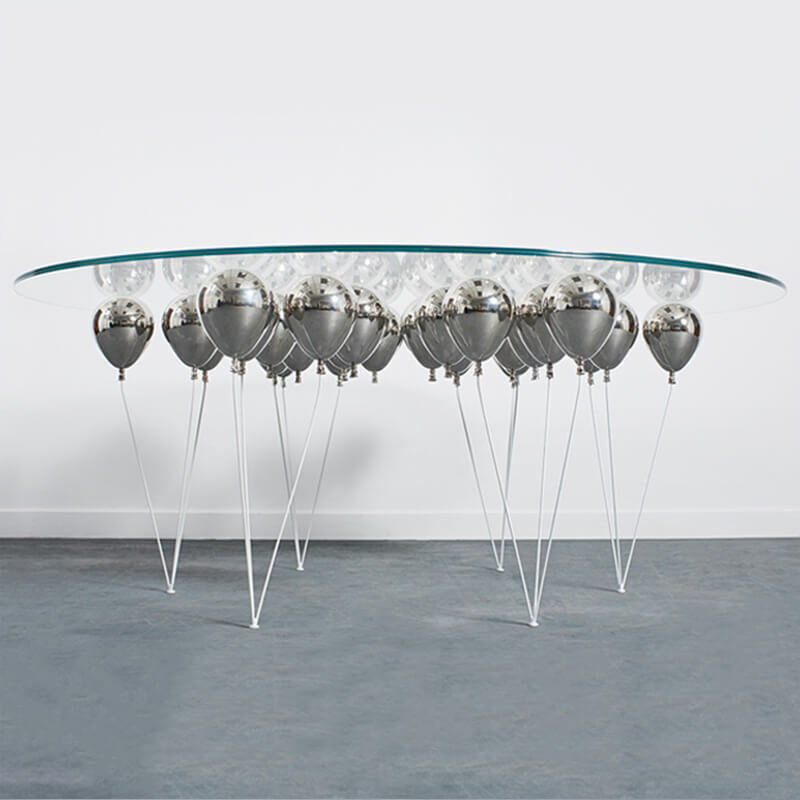 For 2017, Duffy London introduces a round dining table version in 2 sizes. 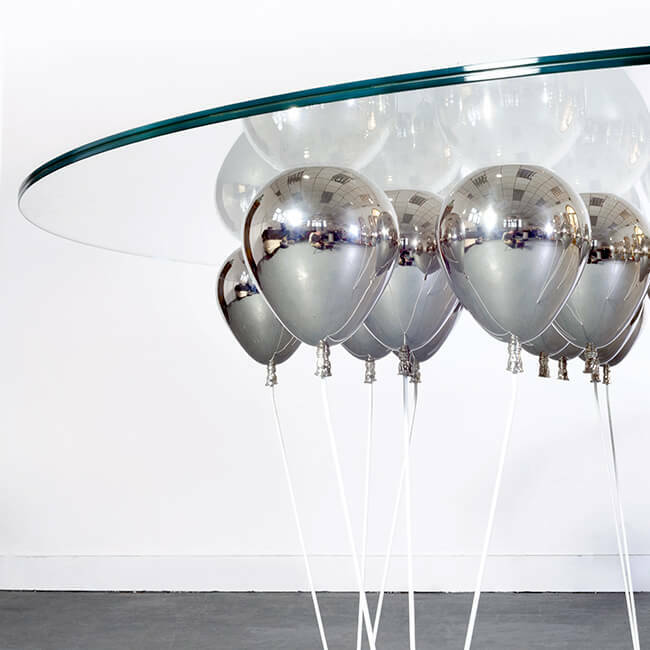 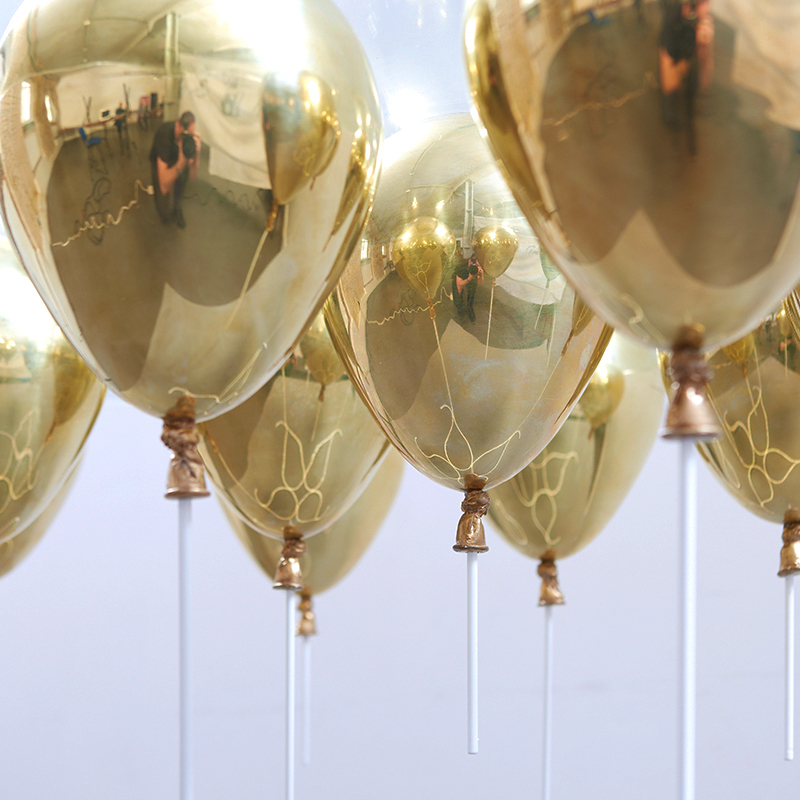 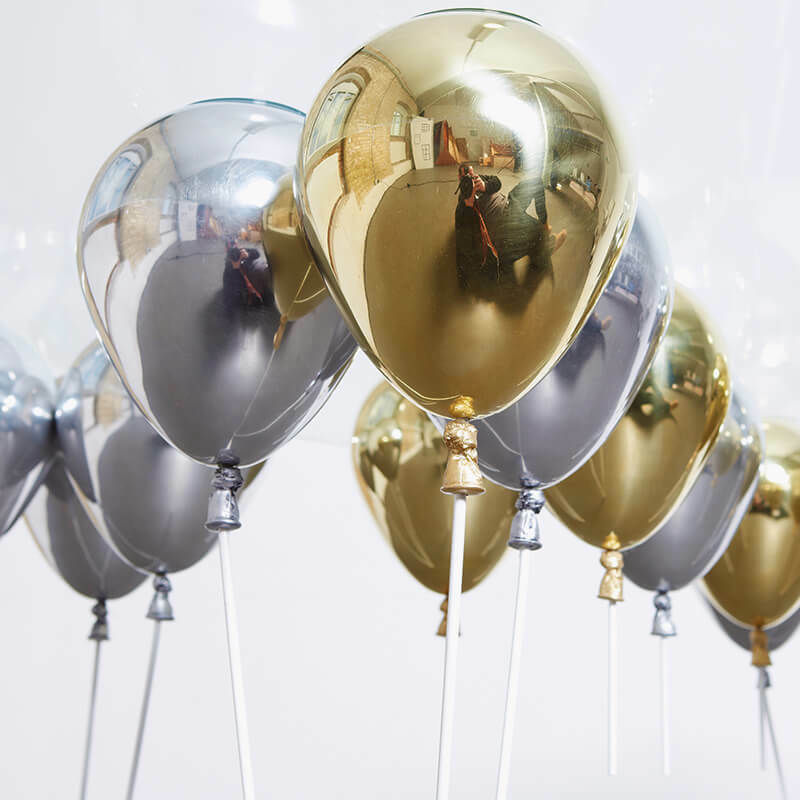 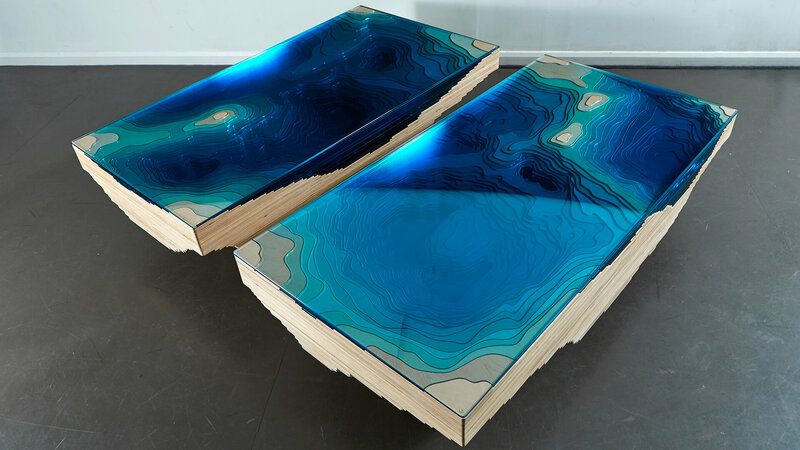 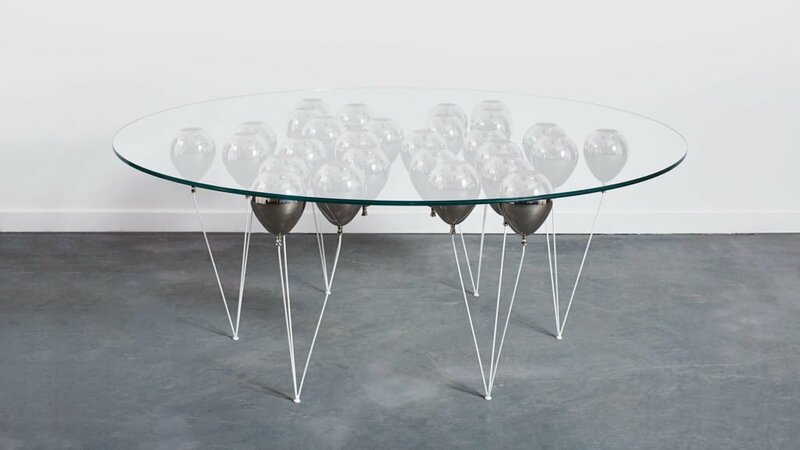 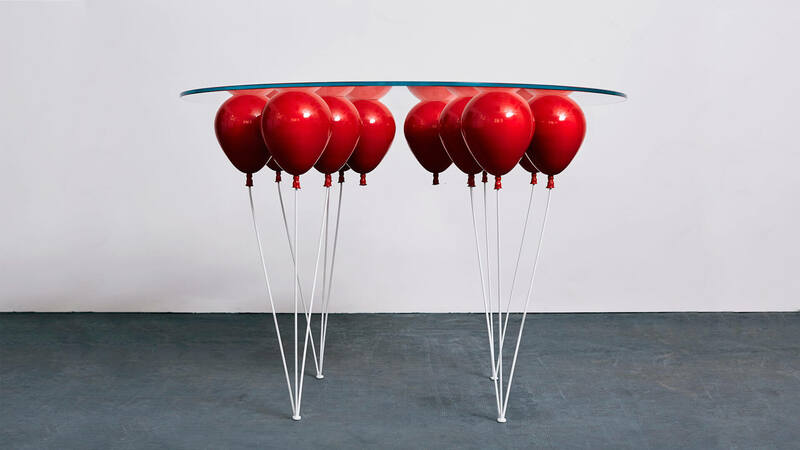 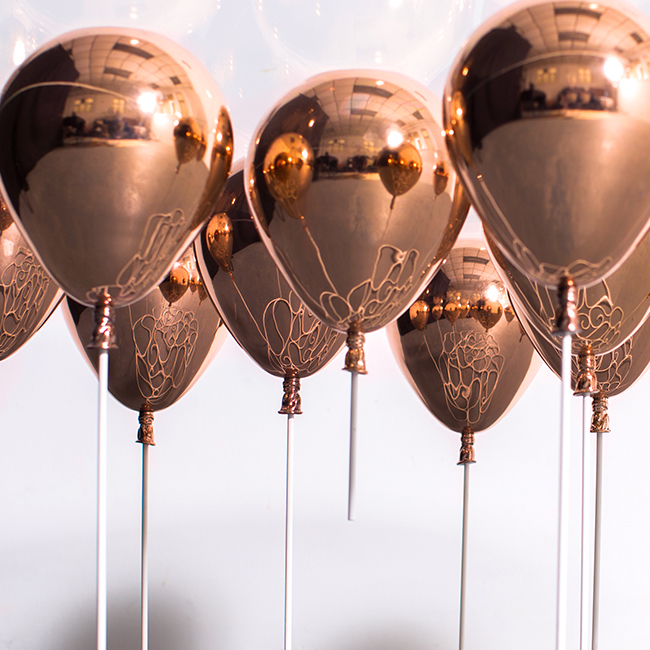 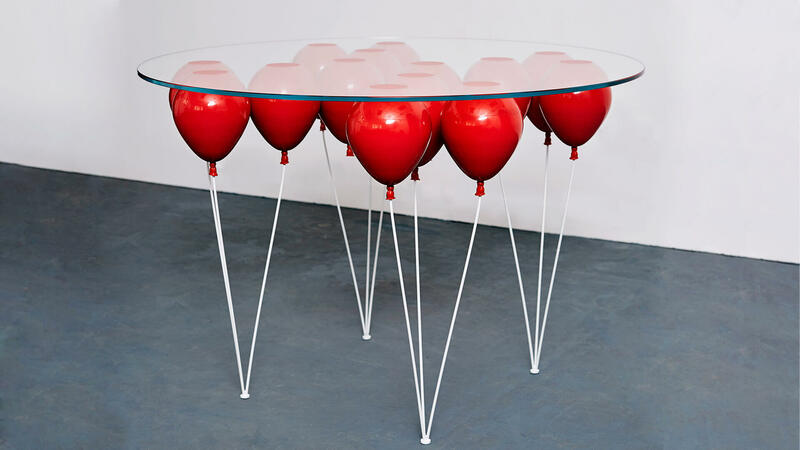 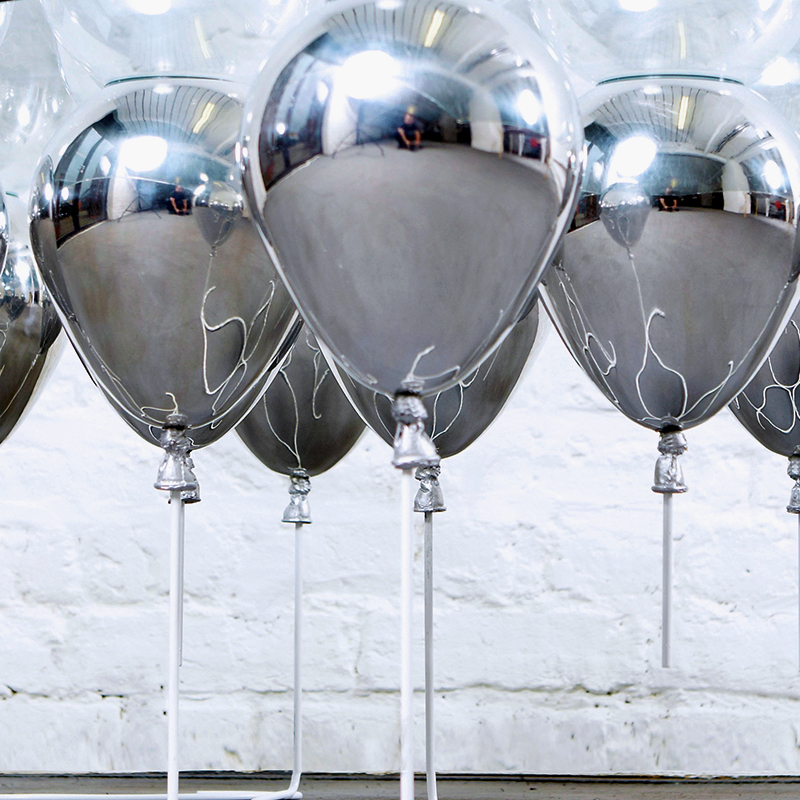 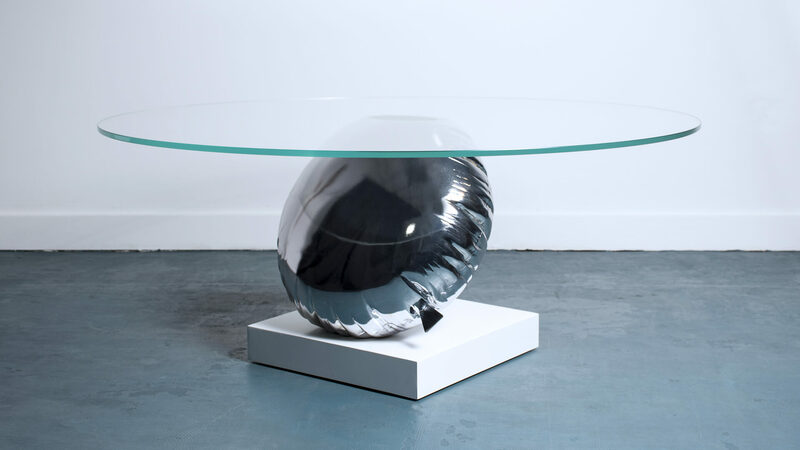 The UP Balloon Tables are limited to 25 editions.